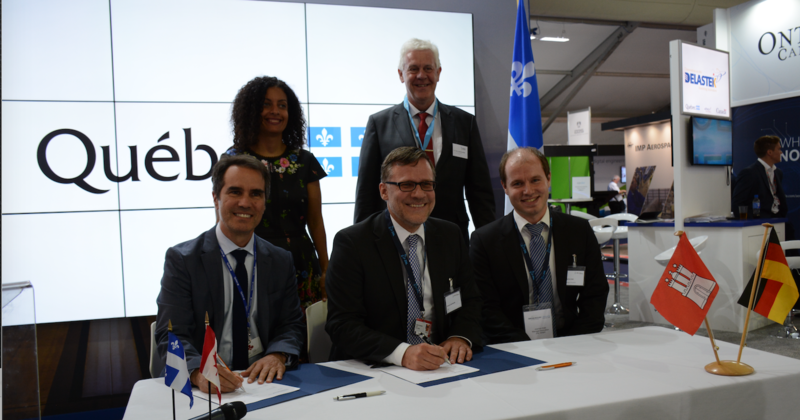 Farnborough International Airshow has seen a Memorandum of Understanding (MoU) signed between the aerospace research hubs of Hamburg and Montreal. 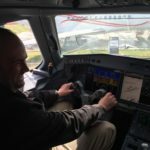 The MoU opens the way to expanding the existing research cooperation between the ZAL Center for Applied Aeronautical Research in Hamburg (details HERE) and its Canadian partners, CRIAQ and CARIC, in areas including aircraft cabin acoustics and composite fiber materials. According to the partners, the MoU will work on “joint and complementary technological areas of focus”, aand intend to establish one joint research project per year and to bring the respective research communities closer together at events like the annual ZAL Innovation Days and the biennial International Aerospace Week in Montréal. 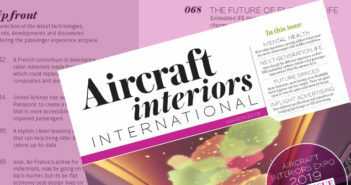 The agreement between CRIAQ, CARIC and ZAL is built on a Memorandum of Intent signed at Farnborough in 2016 by Hamburg Aviation and Aéro Montreal representing the clusters.